THE EL REYS ARE BACK! After some members recovered from surgeries, our group is back and ready to take bookings starting in April (March is a little busy). We are now also available as a Duo (with music) for such venues as Adult Communities, Senior Centers, and Lounges. We also have a DJ with over 40 years experience available with or without the Group or the Duo. These upgrades lend a flexibilty that is not available anywhere else in the Pittsburgh Area. 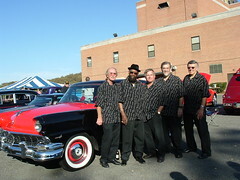 Oldies Show in Greensburg, Pa. The El Reys will be singing with Ladd Vance at the Palace Theater in Greensburg, Pa. on March 12th, 2016. The show also includes Lou Christie and Barbara Harris and the Toys. We will be doing six or seven songs and maybe some acappella, too. The El Reys will be with Ladd Vance in Fort Pierce, Florida on March 17th at Sunrise Theater. Also on the bill will be Joey Dee, Cleveland Still and the Dubs, Tommy Mara and the Crests, and Henry Gross, co-founder of Sha Na Na. The El Reys will also be with Ladd Vance in Fort Lauderdale on March 18th at Parker Playhouse. Also on the bill will be Gene Chandler, the Vogues, Terry Sylvester (former lead singer of the Hollies), and Tommy Mara and the Crests. Our last show in Florida with Ladd will be on March 19th at Ruth Eckerd Hall. Also on the bill will be the Cleftones, the Duprees, Tommy Mara and the Crests, the Vogues, the Dubs, and Felix Cavaliere’s Rascals. We hope to see some Snowbirds while we are there. If you’re down there, stop and say Hi! to us. The El Reys will be at The Coraopolis VFW on Saturday, May 14th to sing a few songs during the Oldies Dance (from 7 to 11). 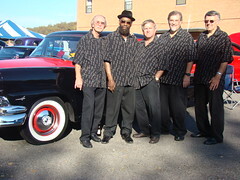 Uncle Al and JD Your DJ will be playing a lot of your favorite oldies from the 50′s and 60′s. If you like the music of Porky, Mad Mike, Terry Lee, and what was played at all the clubs in the area, come on down! 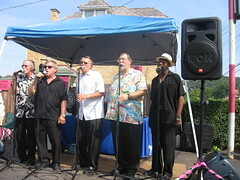 Oldies Dance at the Aliquippa Serbian Club Friday, July 29th from 7 to 11 P.M. Admission is $10.00 and include Wings and Taters. JD from the El Reys will be playing songs from The Diner, Terry Lee, Mad Mike, Porky, Rochester Legion and Clubs throughout the area and singing a few songs throughout the evening. Rocky’s, Route 8, Shaler, Pa.